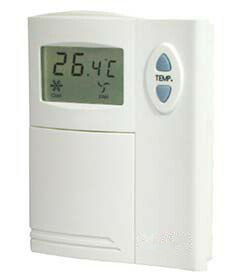 Tstat 2 Series Thermostat - Temco Controls Ltd.
Power surge and instant pulse protection. 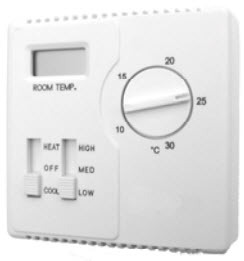 LCD showing ambient temperature, state and air volume. With system switch and fan speed switch. 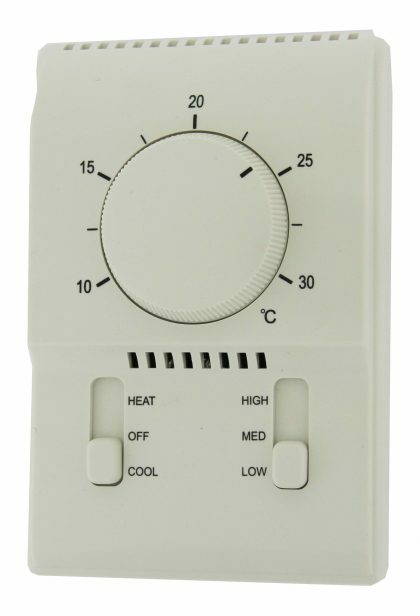 Built-in or external long-distance temperature sensitive element (NTC thermistor). With ABS fireproof plastic, in compliance with UL-94V0 standard. With flexible installation and convenient wiring.